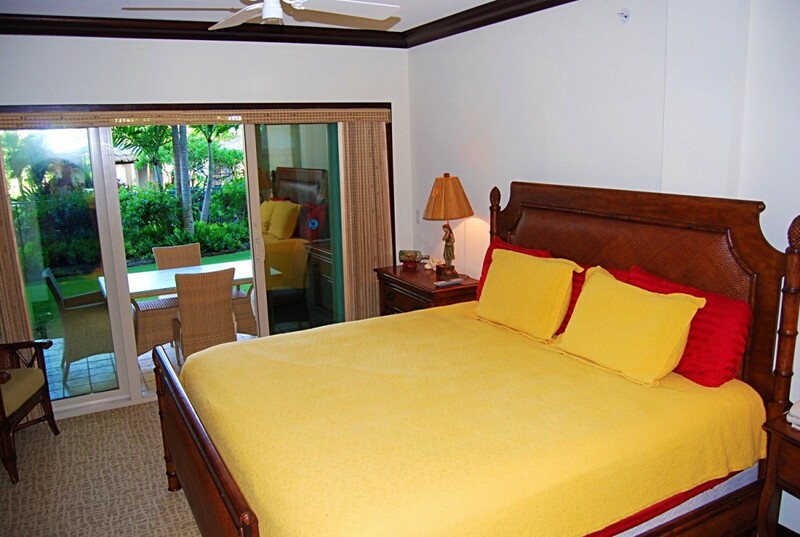 The Experience: Exceptionally well decorated, featuring Tommy Bahama furnishings. There is Central AC in this condo as well as a full size washer and dryer for laundry! Come indulge your senses on the enchanting Garden Isle of Kauai and experience true tropical oasis. One of the oldest islands, Kauai offers a unique experience rich in both activity and culture. Explore the island's hidden beaches and waterfalls or take up a game of golf at some of the most exceptional courses in Hawaii. 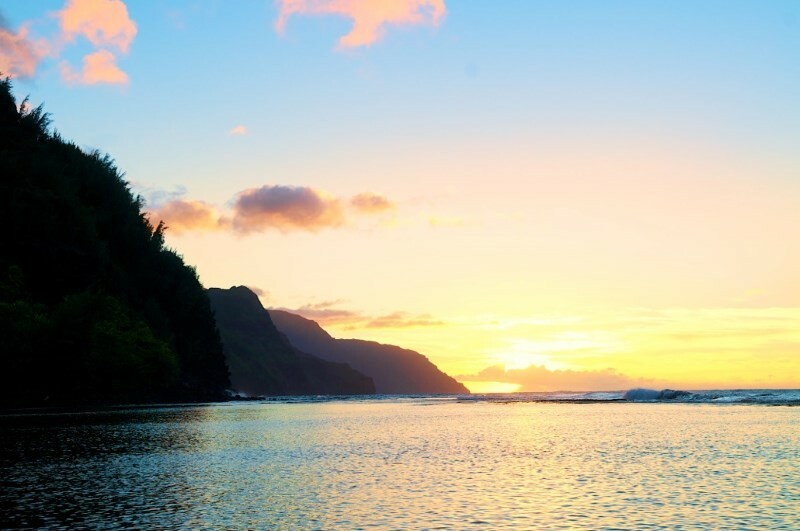 Kauai's geography and diversity offers something for everyone. On the eastern shore of Kapaa, you can find the charm of a small Hawaiian town and the luxurious relaxation of the Waipouli Beach Resort. Enjoy Oasis on the Beach Restaurant and Spa by the Sea at this Resort! 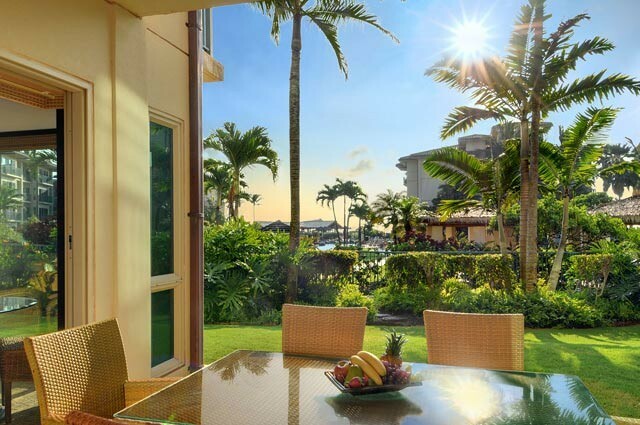 Find yourself staying at Kapaa's most pristine oceanfront resort, in a 2 bedroom & 3 bathroom condo overlooking the pools, just steps to the ocean. The on site Aveda salon and spa, with treatments and products, to accommodate all needs. Waipouli's lava rock waterworks is a salt water solution and has cascading waterfalls, slides and three sand-bottomed whirlpools. Visit the pool side snack hut serving island-styled snacks all day or the full-service bar overlooking the ocean. At night enjoy the warmth of the tiki torches, leaving the Waipouli property with an evening glow. The ground floor condo also boasts an eye level sunrise, making a great start for each morning. Conveniently located across the street is a full-service shopping center that includes Safeway, Starbucks, among many other restaurants and retail shops. You are a quick walk from anything you may need. 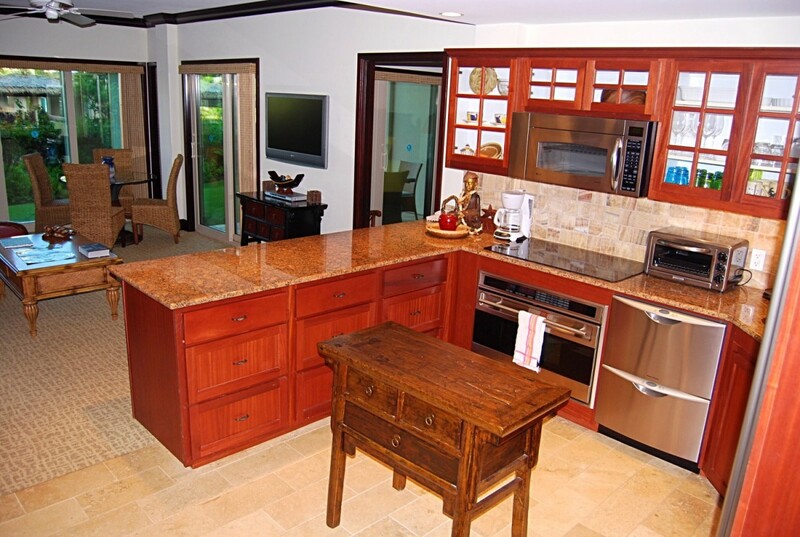 If you're a gourmet cook, you'll love the fully-equipped, stainless steel kitchen (complete with a Subzero fridge, a Wolf range and granite countertops), not to mention the island's fresh ingredients to take advantage of.otherwise treat yourself to the island's famous cuisine. 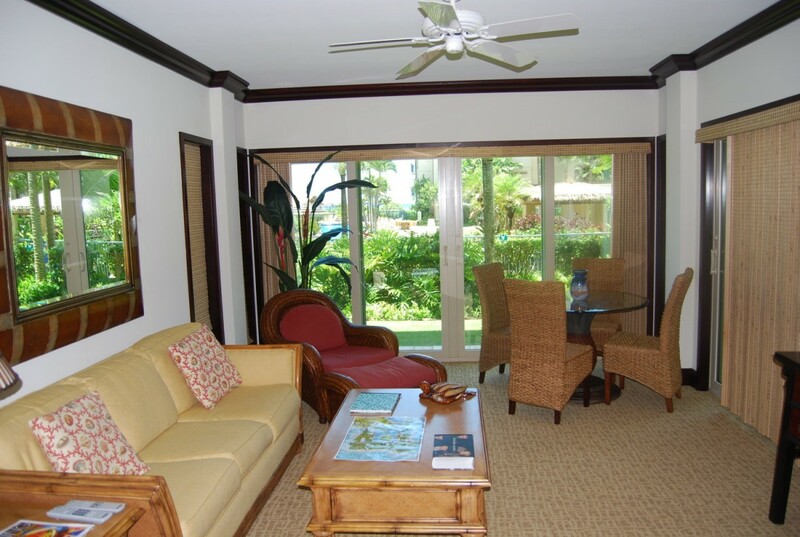 With large flat screens in every room, you'll feel the convenience of home with the luxury of total relaxation. So come see for yourself and experience the Aloha spirit in grand style. Waipouli Beach Resort - Ranked #1 in Hawaii, #7 in the USA and #21 in the World! Designated Most Outstanding Resort in Hawaii! Minimum stay is 3 nights; except for Holidays, when there is a minimum stay of 7 nights. *Base rate plus Hawaii taxes at 14.712%, outclean $225.13, one time damage protection and an admin fee $50 and resort fee $25 per night. Cancellation Policy: All cancellations are subject to a $100 processing fee. All cancellations must be made in writing (fax or email acceptable). Cancellations that occur within less than (sixty) 60** days of the check-in date for a non-holiday reservation will not receive a refund. Tenant will not be entitled to a refund of rent or taxes or cleaning pertaining to this agreement. Accidental Rental Damage Insurance fee shall be returned to Tenant. **90 (ninety) days for all major / national holiday reservations / stays over 14 days and 120 (0ne hundred twenty) days for stays over a month. Trip Insurance is offered for all reservations. Please contact me with information regarding Waipouli Beach Resort D102. This resort complex coupled with the beautiful condos is the perfect mix of what we were looking for in our stay. 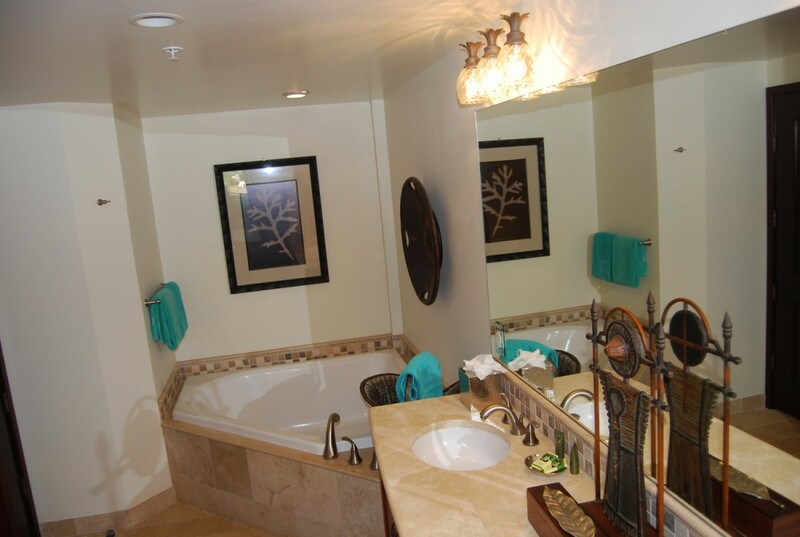 Whether you are looking for a fun place to bring the family or just looking for a relaxing stay wapouli has it all. They have a great beach that is steps away from the pool hot tubs where you can enjoy beautiful sunrises and lay in the sun. The beach isn't good for water sports but this place is within minutes of several great beaches that have something for every water sports person. There is plenty of food options near the resort as well as groceries and any essentials you may need. However you need to try the oasis on the beach because of the location/ambience but as well as the food. We had the fresh catch of the day (blue marlin and ahi tuna) both fantastic, and grass fed local beef (sirloin) and was also fantastic. Again this place had it all, was in a perfect geographic location to enjoy all parts of the island, and had all the amenities and things we were looking for. We stayed in d102 and in my opinion it's one of the best locations. Ground floor steps away from the pool complex with a decent view of the ocean. Overall I can't say enough about this vacation and our stay here at wapouli resort. I would highly recommend this place and hope you enjoy it as much as my wife and I have! Nice, clean unit, while not beachfront, it has a beautiful view to the east of the common areas, pool and ocean, which made for some beautiful sunrise viewing. Location was a perfect midpoint for travel to the north and south areas of the island and close to numerous places to eat and grab supplies. We are a family of 5 and it worked well for us. Nice patio area for relaxing. Great communication from Kauai Calls throughout our stay. Staff was very helpful and friendly, especially Shawn the security guy...a really cool person to chat with. This condo was more than I expected. It surpassed all my expectations. Clean. Comfortable. Spacious. Modern. And very lovely! The beds were pretty comfortable. The Kauai calls folks are super helpful as well!! I’ll stay here again! Great location and clean, spacious condo. Had everything we needed to have a relaxing, stress-free stay. We also loved the concierge services where we had all of our questions answered and booked all of our excursions hassle free! Have stayed many times at this resort, this was probably our favourite condo. Liked that it was ground level, very close to pool, barbecues and fitness centre. There were also two king size beds, and very well stocked with beach chairs, umbrella, cooler and an awesome blender which made great pina coladas. The resort itself is wonderful, we mostly like the walking path along the ocean can do 10 km return hike to beach and back. The location of Waipouli is central which is less that an hour drive to either south or north shore. This is definitely our home away from home. Love this resort???! Great condo for couples. two master suites. Great pool. central on the island. Very well maintained. 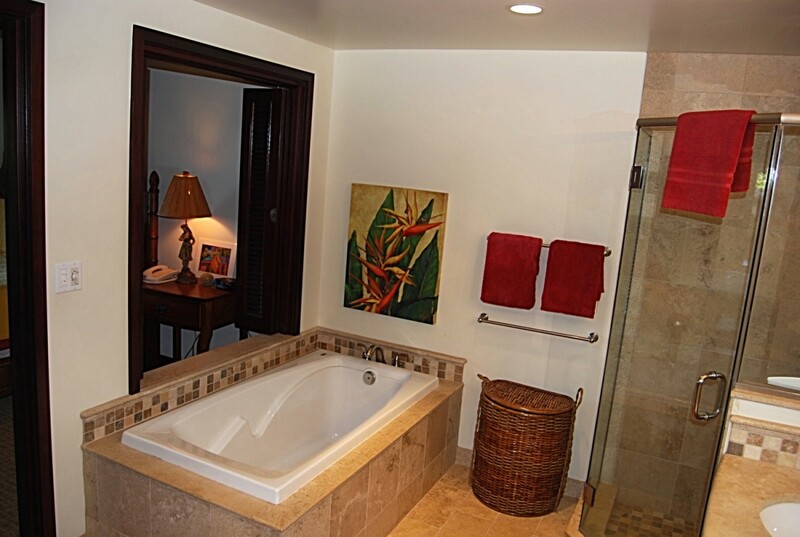 We have been coming to Waipoli since the resort opened and stayed in multiple units. This was the first time in a ground floor unit. We loved it. It is just down the hall from the main lobby, close to parking and almost right across from the front entrance to the pool area. Large shrubs between the walkway and our patio/green space provided plenty of privacy. Extra bonus was the updated furnishings and high end kitchen. One of the nicest we've stayed in. Kapaa is well placed with drives to Hanalei and Poipou about the same distance. Nice restaurants and right on the bicycle/walking trail that you can take all the way to Anahola. Highly recommend. This was our second trip to Kauai and we returned to Waipouli Beach Resort. It was a no brainer....great location (Safeway, Starbucks and ABC store across the street and right beside the ocean) and a great comfy clean condo. We needed a 2 bedroom this trip as both our adult children were coming so we rented a 2 bedroom (last year was a 1 bedroom) with a Sofa bed. The beds were all very comfy including the sofa bed. The decor is so Hawaiian and tasteful....just as it is in the pictures. The kitchen is fully equipped with everything you could possibly want or need. There was even a Kuerig machine. I have nothing but good things to say about this resort. The only problem with the suite was that with they screen doors that were hard to open but that is the only problem that we had. We understand that with the salt air and moisture the screen doors all over the island have the same problem. Seriously though I would give this condo and resort top marks. You will not be disappointed. If you book through Kauai Calls - they will take care of everything. Wonderful!